Once you’ve landed a new customer, you’re on your way to earning repeat and bigger purchases. Customers that have bought from you once are three times as likely to purchase from you again, and repeat customers will spend 20% more with your business than first-time buyers. Keeping customers engaged with your brand after the sale is a crucial part of scaling revenue – if you aren’t keeping in touch, you’re leaving money on the table. That’s where email nurturing comes in. Email nurturing is an automated way to stay top of mind with your customer base through the pairing of marketing automation with your CRM database. Here are four simple nurturing emails you can use to build a customer loyalty and drive repeat sales. Your welcome email can be short and sweet, but it’s a good idea to summarize in bulleted format what they can expect to receive from you in the nurture series. You can also link to further information for them to check out, and include a contact phone number or email if they’d like to get a hold of you. 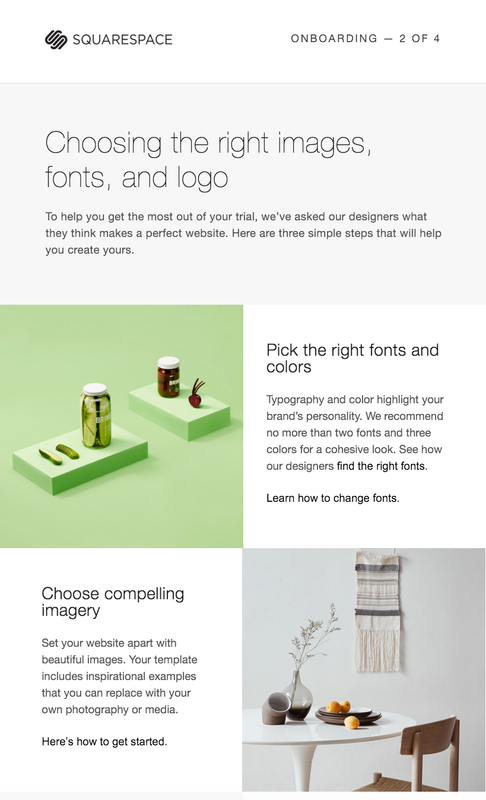 The following are some examples of great welcome emails I’ve received from brands and small business owners. 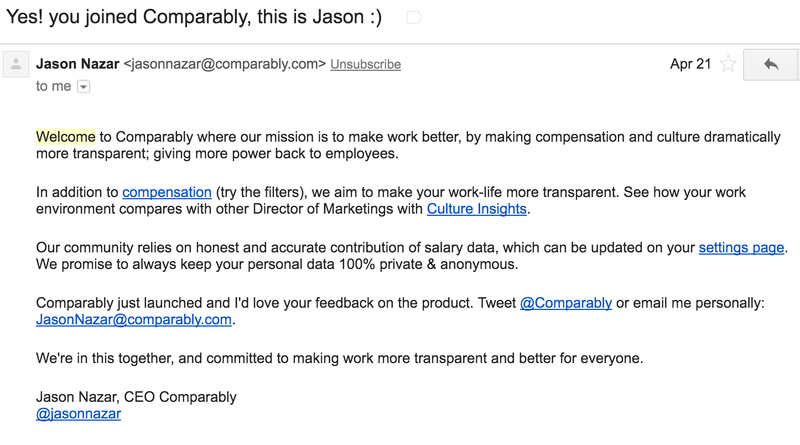 Comparably’s welcome email is an example of personalizing a nurture email—it doesn’t appear to be overly designed so you can’t tell it’s a marketing email, and the founder signed it. This gives the impression the founder is interested in interacting and hearing from his customers, and the email has a nice, personal touch. Once you send a welcome email, it’s a good idea to send tutorials, guides, how-to videos or other types of supporting content that can help your customers get associated with your business. If you’re a gym, you can send post-workout tips or fitness advice. If you’re a restaurant, you can send tips on joining you for future events or weekly specials you might have like 25 cent wing night on Wednesdays. Make sure the content you’re sending adds value to your customers and highlights the benefits of your product. If a nurture email with setup or supporting docs doesn’t fit your type of business, then you don’t have to send it. No email at all is always better than an email that is fluffy and doesn’t add value to an ever-growing inbox. Finally, another best practice is to send content to your customers. Even better, segment your customers to provide them with content that directly speaks to an interest you know they have. For instance, have them identify a specific interest within a drop-down menu on a form. Then you can create content campaigns for each of the interests featured in the drop-down menu. If you’re sending content in a general welcome nurture campaign for new customers, it works just as well to inform your customers of the fresh blog posts and videos your business is creating. Point them to your blog or resources center, or send a newsletter that highlights content they can click to read further. By sending your customers content they want to read, they’ll have an extra incentive to stay subscribed to your email list. 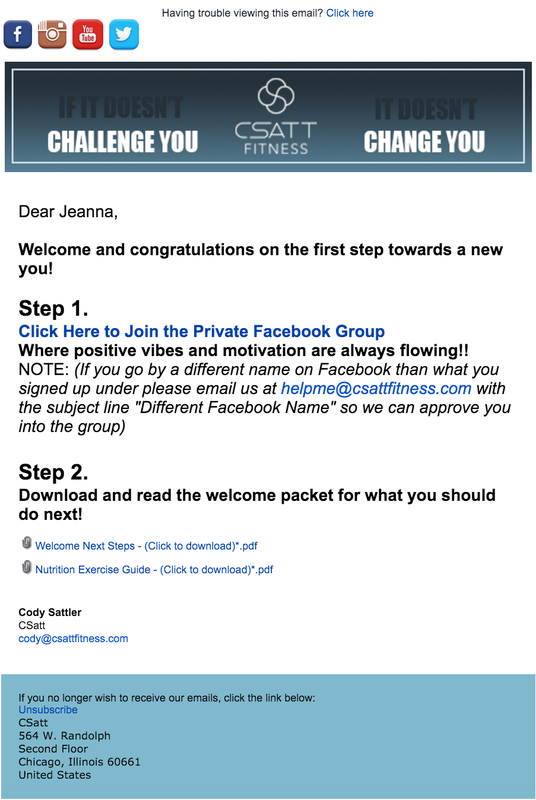 The below email is a great example of a welcome email from a small business owner, Cody Sattler at CSATT Fitness. 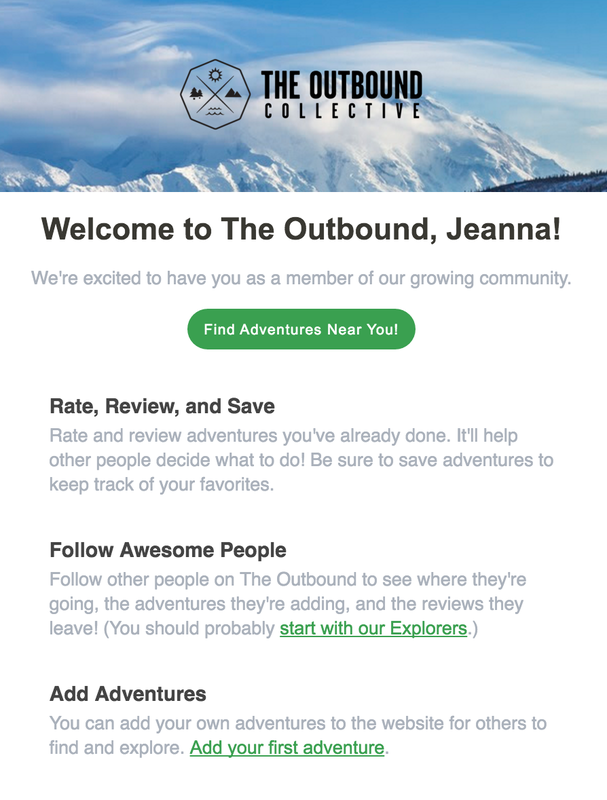 In his welcome email, he’s combining two tactics I’ve mentioned: 1) telling his customers about social communities they can join and 2) providing content he’s created that his customers can consume. 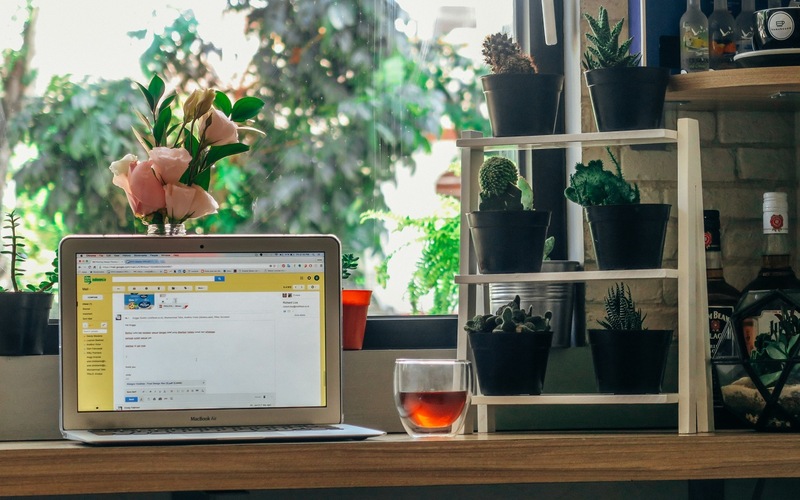 Email nurturing is effective because it’s personal. So don’t have emails to your customers come from a generic email address. Instead, have emails come from someone within your company. For instance, have emails come from a name your customers will recognize – like their account manager or support contact. Personal communications are always better than a ghost behind a business, and your customers will feel like you’re making a personal effort to reach out and welcome them. Always give email recipients the option to unsubscribe from your email communication – even your customers. Remember, an engaged contact who wants to hear from you is always better than a giant list of leads who aren’t interested in becoming a buyer. Nurture campaigns are the easiest way to make sure you’re continuing contact with customers. Keeping your customers engaged is crucial to winning the repeat business most companies thrive on.